The Biggest Mistakes We Made on Our Agile Journey (and Why We are Glad We Made Them) — May I Take Your Order? I am working with Tim Coonfield to develop a talk for the one day Agile Shift conference scheduled for April 12, 2019 in Houston, TX titled “10 Biggest Mistakes We Made on Our Agile Journey (and Why We are Glad We Made Them)“. This is the ninth in a series of articles that Tim and I will use to explore some of those mistakes and what we learned from them. You can find other articles in this series as well as some of the background about our agile journey here. Around noon, you and your team go to lunch at your favorite restaurant. The waiter walks up to your table, turns to you and asks, “May I take your order?”. You order the cheeseburger with sweet potato fries. Your teammates order as well. The waiter leaves, brings back drinks, returns later with your food, checks in with you to see if you need anything from time to time, brings the check and so on. If the waiter does his job well and the chef prepares your food properly, you are happy with the experience and leave a nice tip. If not, you reduce your tip and might even complain to the manager. Your lunch experience is not terribly unlike how stakeholders experience agile in many cases. The business identifies a feature they need to solve a problem they have. For example, a stakeholder might ask for the ability to search customers by last name. Your PO turns that into a story that gets prioritized and assigned to your team. Your team picks up the story and gets it done. If your team collaborates well with the business, you probably check in with your stakeholders as you work on the story to get questions answered, show mockups and generally refine your approach. At sprint review, you show the stakeholders what you’ve produced and they are usually happy enough to accept the story as completed. If not, they provide feedback and might even complain to your manager. However, the model above is a terrible way to work and ends up undermining the team’s ability to deliver business value. When developers take orders, as the old joke goes, they end up delivering exactly what was asked for but not what was wanted or needed. Our teams fall into order taking mode from time to time, but they usually pull themselves out of it by simply reminding themselves and the business that they need to understand the problem that needs solving rather than the way the stakeholders would like to see it solved. In the example above, customer service needed to find the customer record for people calling in on the phone. Once the team understood the problem, they proposed a comprehensive search that would allow the customer service rep to lookup the customer by phone number, email address or name. Although it cost about the same to implement as the simple name search, it actually solved the underlying problem more completely since phone numbers and email addresses were more likely to return the single customer record the service rep wanted. It also opened the door for more sophisticated features in the future. For example, once we tie in the phone system and our CRM system, the same search API the team developed for this feature can be used to automatically pop the customer information onto the screen as soon as the customer service associate answers the call. There’s nothing unique about how our teams avoid order taking mode. Truly, it is Agile 101. The INVEST model for user stories calls this making stories negotiable. The idea is to leave room for the developers to negotiate the details of the implementation with the stakeholders. In this model, the PO works with the business to understand the needs, provides them to the developers in the form of a story and then the team collaborates with the business to converge on a solution. However, Agile 101 is not good enough. In practice, teams want some certainty around stories before they are willing to estimate them. In addition, stakeholders require more detail around screen layout and workflows before deciding on what stories to prioritize. Therefore, POs end up working ahead with designers and stakeholders to flesh out the details. Inevitably, implementation details leak into stories in the form of screen mockups and more specific acceptance criteria. By the time the team sees the story, the business rules are cast in stone even though technical details remain perfectly negotiable. In traditional agile fashion, we tried to fix this by asking developers to spend more time grooming stories with the business. In practice, this meant select developers would sit in on design sessions. This gave them the opportunity to inject the technical viewpoint on stories. For example, suggesting a popup screen instead of a new web form because it would make the flow easier and faster to implement. Our teams got pretty comfortable with this. It seemed to fit the agile model. The business decided on the business stuff. The technical people decided on how to solve the problem technically. It was efficient because everyone stayed in their comfort zone to deliver working software that solved the problem at hand, or so it seemed. Unfortunately, when we looked closer we realized things weren’t running quite as smoothly as we thought. Instead of being part of the decision making process on the most important business aspects, developers tended to accept business decisions as gospel and focused entirely on the technical implementation details. Although this seemed efficient, it undermined our ability to innovate because we were not truly leveraging all the intellectual capital our development team could bring. Far too often we focused too much on building features that the business wanted and thought they needed instead of finding innovative ways to radically improve our business. The same artificial divide between technical concerns and business concerns handcuffed our stakeholders and limited their ability to drive different thinking around implementation. Because everyone stayed in their comfort zone, we were having trouble actually driving innovation. Over the last couple of years, we’ve changed that in a big way by focusing more on building truly cross-functional teams of business and technology experts that work together to define, prioritize and deliver innovation. Part of the solution is process. For example, our exploratory division has a fire team structure that combines one or two development teams with a dedicated leadership group that includes a PO, a UX expert, a technical leader and a business decision maker that work together to deliver a comprehensive solution for a big business problem given audacious goals and some basic constraints around budget and timeline. One of those fire teams is currently focused on revolutionizing the way we sell decks and decking materials online and in-store. We are also using the OKR framework from “Measure What Matters” to frame the objectives and how we measure results. The bigger part is culture. For us , this starts with encouraging people to ask questions they wouldn’t normally ask. These days, it’s not unusual for one of our business leaders to ask as a developer rather technical questions about a proposed implementation or for a developer to probe a business person for data to support a proposed story. A couple years ago, these kinds of questions weren’t asked because people naturally stayed on either the business side or the technical side. These days, we actually demand cross-functional debate. Every initiative that we work on in a truly cross-functional way ends up delivering pretty spectacular results. For example, our core business used a cross-functional effort to double our services business over a period of 90 days. Furthermore, pretty much everybody involved ended up broadening their skill set. In essence, our developers are becoming better business people and our business people are becoming more technical. They are also enjoying the work despite the challenge of working hard to deliver on some pretty audacious goals. I am working with Tom Cabanski to develop a talk for the one day Agile Shift conference scheduled for April 12, 2019 in Houston, TX titled “10 Biggest Mistakes We Made on Our Agile Journey (and Why We are Glad We Made Them)“. This is the eighth in a series of articles that Tom and I will use to explore some of those mistakes and what we learned from them. You can find other articles in this series here. As time winds down in the first half of a game, your team’s star point guard hurriedly dribbles the ball up court and heaves up a long three point attempt…just a hair after the buzzer sounds. He didn’t get the shot off on time. It misses anyway (as most 70-foot heaves do), and he and his team shrug it off as they walk to the locker room. What if I told you that he had no intention of getting that shot off on time, or that the half beat late shot was no accident at all? This isn’t to demonize every NBA player, but all too often, it’s true. With the rise of sabermetrics (popularized in the 2003 novel, Moneyball) and other advanced measures of player success, seemingly innocuous missed shots can impact key metrics for a player that can ultimately cost them tens of thousands or even millions in eventual contract negotiations. With that in mind, it’s not unthinkable that a player would take the shot just after time expired, ensuring that it doesn’t actually count as a shot (and inevitable miss), thereby preserving their field goal percentage. Most of the time, it’s a harmless gaming of the statistics and little more than a forgotten anomaly on the stat sheet. On occasion, though, the desperation heave hits home and the team heads off the court three points short of where they could have been. When I reflect on this, I can’t help but recall to an old adage of management: “You get what you measure.” As much as I can fault a player for not putting the team needs above their own self interest, human nature suggests that individuals will always optimize to the metrics that you put in front of them. It was with this truism that I look back on our spotted history of measuring success within our Autobahn development team. The Autobahn project remains to this day the largest scale development effort we’ve ever completed at GCC. At the same time, it represented our first ever agile project and team. Under the scrum methodology, we quickly settled into a two-week sprint rhythm. Almost immediately, we started to struggle with the concept of velocity. Coming from a more traditional project management philosophy, leaders valued predictability in a plan above all else, and so in those early days, we looked to deliver that through our velocity. I don’t know where the number came from, but we settled on 30 points as our small team’s velocity. Without fail, we hit EXACTLY 30 points every single sprint. We would scale stories, counting hours and resizing stories – even assigning points to any non-feature tasks – to ensure that we were delivering precisely what the business had been conditioned to expect. First big mistake. This way of looking at velocity inherently separated our sense of team value from our ability to deliver business value in any way. We were chasing the number. We wouldn’t stretch for additional stories beyond our 30 points. Our team worried more about how many points to assign to a technical chore or an all day training session than we would about positively impacting customer experiences. We were delivering 30 points without actually understanding whether we were getting closer to our goal. The tipping point for this phase was when we literally assigned 3 points to a “story” in which we spent a half day cleaning and rearranging our workspace to prepare for an influential visitor to our offices. A few of us finally woke up and started to ask what the heck was going on. The next several months was a litany of attempts through which our team iterated towards a healthier notion of team progress. We started more effectively planning chores and other tasks. We worked to understand the impact of these “zero business value” tasks to our ability to deliver. Our sprint reviews started to prominently feature burnup charts so we could understand team improvements in velocity and how our progress was moving us closer to our goal. I completely understood and appreciated the desire to better understand team performance and honestly had little doubt that the intent behind the request was completely constructive in its nature. That didn’t make the request any less problematic. Asking teams for a larger velocity – as EXTERNALLY measured – is a recipe for a myriad of unhealthy behaviors. Teams control their own destiny and can simply start changing 8 point stories into 13 point ones at a stroke of a pen. Instant velocity! Developers are motivated to push time consuming yet valuable technical chores to other teams so that they absorb the impact to their velocity. It’s not a matter of developers gaming the system – more often than not, it’s a subconscious reaction. Many of us on the team immediately recognized how critical it was to maintain velocity as an internal metric for the team to understand their own growth and progress. I at the time fought hard to keep external readouts of velocity limited to our understanding of a project burnup chart and how we were progressing to business goals. In the years since then, we have built some of the most talented and effective development teams that I have ever worked with, but we still struggle sometimes to quantify it exactly. The best thing I can say about our evolution as a business, though, is that we really don’t ask the question that much anymore. We’re more concerned with aligning groups of people – marketing, sales, development, etc. – around a single business goal. We all want to deliver business value and measure ourselves against the success of our business, not a story point or even cycle time metric. We still look at all of those things, but almost exclusively internal to a team. I once went to a conference around agile metrics where the presenter posited the notion of plotting all of your proposed measures on a graph of both usefulness and “potential for evil.” It’s the idea that you need to consider the basketball player scenario – what potential negative behavior your metric can drive that is ultimately counterproductive to your team goals. When you start motivating teams with business goals and milestones rather than simply internal “productivity” metrics, you start to push the behaviors you actually want! I am working with Tim Coonfield to develop a talk for the one day Agile Shift conference scheduled for April 12, 2019 in Houston, TX titled “10 Biggest Mistakes We Made on Our Agile Journey (and Why We are Glad We Made Them)“. This is the seventh in a series of articles that Tim and I will use to explore some of those mistakes and what we learned from them. You can find other articles in this series here. This mistake pushed me to the edge. I lost sleep over it, I started hating my job and I almost left the company because of it. You need to know that before you read this story. I can even pinpoint the date when all my pent up emotion spilled out in a post I published back in June of 2013. I’ll share that post later. For now, let’s see if time has improved my perspective. Autobahn was one of those rare opportunities to build something from the ground up. Everybody likes starting a project from scratch. You get to use all the latest tools. You just know your design will be perfect, your code stellar, your tests complete. If you are replacing a system already in use, like we were, you know that your new system will be much better than the buggy, messy thing that nobody wants to work on anymore. But that was the problem. The existing e-commerce platform that had been developed over about ten years was successfully serving customers across four web sites to the tune of around $100M annually. A team of developers, designers and marketers worked together every day to continually improve that platform, driving up conversion and growing the business at double-digit rates. There was no way our business could afford to stop that team from improving the platform while we waited for Autobahn to have enough capability to replace it. The market was simply too competitive. As a result, the Autobahn effort was planned to run in parallel with a small, dedicated team while the existing team continued to improve our proverbial cash cow. We called it parity-plus. Autobahn had to do at least as much as the existing system before we could switch over our busy e-commerce web sites to the new platform. On top of that, Autobahn had to do more. It had to be more stable. It had to be cleaner and easier for developers to modify. It had to have better automated testing. It had to live in the public cloud where it could easily scale with our business. It had to be faster. Of course, it had to have tons of new, customer-facing improvements too. Finally and most importantly, it had to have a better and more flexible product configurator capable of selling any kind of complex, hard-to-buy product so that we could easily expand our business to other product categories in the future. It wasn’t exactly required to make coffee. However, we did decide that, at least in theory it would have to be capable of selling everything complex and configurable from blinds to the evil flying monkeys envisioned in “Wizard of Oz”. We weren’t concerned. We baked parity-plus into the plan as well as into the psyche of our business leaders. The Autobahn pitch was like one of those kitchen gadget commercials you see on TV — it slices, it dices and it’s all easier and faster than ever before. All our stories and demos talked about parity-plus. In fact, our business would often provide an acceptance criteria that said more or less “this has to work exactly like the one in the existing system plus the following”. We talked about flying monkeys all the time too. When we designed key features that involved how products and configurations worked we would consider how the feature would handle blinds and then asked ourselves if it would work to sell a flying monkey too. As silly as it sounds, I can say with 100% honesty those soaring simians played a key role in our biggest success: The core of the new Autobahn system was capable of handling almost any complex product we could imagine. The rest of our parity plus strategy was not going so well. Almost immediately, it became clear that the existing system did lots of little things that almost nobody knew about, which made it impossible to deal with those acceptance criteria that said, “does everything the existing system does plus the following”. As a result, the development team started insisting on stories with acceptance criteria to cover the parity-related features. This proved harder that expected as it was difficult to identify all the little things the existing system did and exactly who relied on the resulting capability. Meanwhile, the company continued to focus most of its energy and resources on improving the existing platform. In fact, the development team for the cash cow platform was larger than the one focused on Autobahn. Of course, this made the Autobahn backlog grow regularly as each new feature added to the existing system would be needed in the new one. To make matters worse, the necessary focus on driving the existing business made it hard to get time from key stakeholders to work on developing Autobahn. To the credit of all involved, we worked together to try and solve the problem. The Autobahn development team got bigger. Business leaders freed up time to put more attention on the new platform. We even slowed development on the existing platform to some extent by asking hard questions about every new feature and how long it would be in production. Despite all those efforts, the schedule continued to slip away. By late spring of 2013, our most optimistic estimate put Autobahn at least one year away from achieving parity-plus after almost 18 months in development. This assumed development of new features on the existing platform stopped completely, which wasn’t going to happen. This also assumed that many team members continued working long hours to try and push the effort to parity-plus and launch. Like I said, one year was a very optimistic estimate. Team morale suffered. Some of us started advocating for radical solutions including killing the Autobahn project. We felt this would free up resources to focus on radically improving the existing e-commerce product to make it capable of delivering on our CEO’s future vision. Although the business carefully considered even our most radical ideas, it was decided to continue on course. Many team members, including me, started to wonder if we were on some kind of death march. I expressed my extreme frustration in June of 2013 when I published “When Green Fields Become Killing Fields” on my blog. But we didn’t give up. The next few months were a blur as we buckled down and tried to get on course to launch at least one website on Autobahn by the end of 2013. To some extent we succeeded. By around October 2013, Autobahn was fully capable of selling custom blinds to customers though it still remained far from reaching the parity-plus goal. Wade Pinder, to brainstorm how to get Autobahn into production. The discussion centered on two options. Most of the team favored targeting our smallest e-commerce site, Blinds.ca, and convincing the business that we could launch it on Autobahn well short of our parity-plus goal without negatively impacting sales. That group believed we should put a fairly tight timebox on the remaining effort to force everyone to focus on only the most critical features. In agile terms, this group wanted to aim at a minimal viable product or MVP. The rest wanted to maintain our focus on the biggest site, Blinds.com. They thought we could deliver closer to parity-plus given more time and a development freeze on the existing platform. After vigorous debate, the team decided to take the blinds.ca MVP strategy to business leaders . We then worked together to put rough estimates on the remaining stories so we could help the business decide what would end up in the MVP. A few days later, Wade led a meeting with the development team and all the key stakeholders that he ended up calling the “Red Line Exercise”. He put all the remaining stories up on a board in priority order. Because we had rough estimates, he was able to draw a red line at the six-month mark. The exercise for the business was simple. Stories above the line would be in the MVP. Below the line would not. If somebody felt a story below the line was critical, they moved it up in priority order so it was above the line. However, this would move stories of lesser priority down the list and some would end up below the red line. Some of the resulting trade-offs were easy, others inspired spirited conversation, but ultimately we converged on a solution . By the end of the exercise, we had successfully killed the notion that parity-plus was needed before the first launch and had a path to launch blinds.ca in six months. It took a little longer that we expected, but we launched Autobahn with Blinds.ca on June 10, 2014 roughly 8 months after the original red line exercise. Although it launched missing a number of key features from the existing platform, blinds.ca revenue actually showed a small year over year increase and conversion improved too. It also gave us a platform to continually improve as we drove towards the launch of our other brands. Over the years that followed, timeboxes became our most effective tool for driving major releases that required multi-sprint efforts before going public. Although we can usually deploy these larger changes incrementally using techniques like feature toggles, we really can’t expose them to the public until they deliver a MVP. We timeboxed our blinds.com launch. A timebox drove the rapid delivery of custom window coverings on Homedepot.com after the merger. We also use timeboxes extensively in our exploratory division to rapidly deliver new product categories and buying experiences both in-store and online for The Home Depot. If you ever find yourself stuck on a project that is expected to deliver parity-plus or you can’t seem to finish your minimal viable product, you need to introduce a time box. This happens naturally in startups due to financial constraints and is a big reason they often seem to get so much done with so little. Make the timebox smaller than anyone likes and try a red line exercise. Your MVP will likely get smaller, you’ll definitely deliver faster and your customers will end up far happier than anyone believes. Just remember, the MVP is not the end; it is only the beginning of a journey of continual improvement. I am working with Tim Coonfield to develop a talk for the one day Agile Shift conference scheduled for April 12, 2019 in Houston, TX titled “10 Biggest Mistakes We Made on Our Agile Journey (and Why We are Glad We Made Them)“. This is the sixth in a series of articles that Tim and I will use to explore some of those mistakes and what we learned from them. You can find other articles in this series here. From the start, the Autobahn development team included engineers with a diverse set of skills. Some team members had T-shaped expertise — deep in a couple areas with some knowledge across the whole technology stack. Some were I-shaped — very deep in one critical technology with little expertise in the rest. Some of us specialized on testing and some of us on building features. Once the sprint started, team members naturally focused on tasks within their expertise. This usually meant starting several stories because there was almost never exactly the right amount of specialized work needed to keep everyone busy on a single story. We developed a comfortable rhythm. Within the first couple days of the sprint, we’d have four or more stories in process. Around the middle of the second week, we’d start finishing up stories and merging them into a release branch. Late in the sprint, we’d finish up testing the stories and call them done. It was also very efficient. Because team members worked in their strongest areas, tasks got done quickly. Team members that ran out of work in the sprint would start on stories prioritized for the next sprint. It always seemed like we were ahead because we were all busy bees all the time. But then we hit a snag. Late in the second week of a sprint we realized we could not finish regression testing the release branch by the end of the sprint. No problem. QA engineers could perform regression testing at the start of the next sprint. After all, they weren’t very busy the first few days of each sprint because the software engineers were busy starting multiple stories. And then we hit another snag. One sprint one of our specialists ran out of work and, as per our standard operating procedure, starting working on what was prioritized as the first story for the next sprint. Even better it seemed, he actually knocked off the front-end work for the first five stories planned for the next sprint. Unfortunately, most of that work was wasted because the last four of those stories got deprioritized by the business before the next sprint started and eventually fell off the backlog entirely. That caught our attention. Clearly, we were doing something wrong. Despite keeping all our specialists busy doing what they did best, we were having trouble getting stories done by the end of the sprint. An agile consultant suggested limiting ourselves to one story at a time. The term we heard at the time for this practice was “swarming”. The entire team would work together to finish one story before moving onto the next. If a specialist ran out of work, she would pair with others to work on tasks outside her specialty or would spend the idle time developing new skills, working on a pet project or helping the team out in other ways. Swarming worked. The most important stories were guaranteed to complete in the sprint. Collaboration improved too. Since the PO saw completed stories earlier and provided feedback sooner, the team was more open to responding to feedback and making changes within the sprint. Overall throughput improved. That is, stories were getting completed at a steady rate throughout the sprint and delivered what the business needed. In formal terms, we found that decreasing the amount of work in process, or WIP, increased the throughput of our process. However, swarming didn’t feel efficient. Specialists often ran out of tasks they felt competent to complete on their own. Some were willing to pair and learned new skills along the way, but often felt they were not making the best use of their time. To make matters worse, the people that were experts on the tasks that remained felt like pairing with someone less skilled was distracting and slowed them down. Increasing the WIP limit helped up to a point. Because it allowed specialists to go faster, more tasks got done. Often, it also meant that more stories got completed in the sprint. In formal terms, we learned that increasing the WIP limit increased our efficiency and our overall throughput up to some maximum value where throughput would peak. But increasing the WIP limit came with risks. When WIP got too high we started to see some of the same old problems — stories wouldn’t come together at the end of the sprint and would remain incomplete. Sometimes that was OK, but sometimes that unfinished work became waste. We also found that our ability to respond to change within the sprint was compromised when WIP crept up because the PO was rarely able to provide feedback early enough in the sprint. I’d like to be able to say that we worked through the challenges and found the right balance over the next few sprints. The truth is we didn’t. Part of the problem was rooted in how we interpreted the Scrum process to require one release per sprint. After all, review happened at the end and we really couldn’t deploy until we had approval from the stakeholders. The focus on one release per sprint made it seem reasonable to merge code late in the sprint and focus on regression testing the entire sprint release in the last couple days of the sprint. Part of the problem was how we misused velocity to some degree. Pretty naturally, we focused on measuring velocity and used it to judge progress against our overall plan. When our specialists worked ahead on the next sprint instead of sitting idle or working slowly on tasks they weren’t good at, average velocity increased. Unfortunately, our measurements ignored some of the waste we were building up when testing spilled into the next sprint or stakeholder feedback couldn’t be incorporated into the current sprint. As we grew from one team to twelve, we continued to control WIP with limited success; it kept popping back up as a problem from time to time as teams would slip back into chasing efficiency. We finally fixed that by changing our culture to focus on deploying increments of functionality as soon as they were ready. This automatically started focused teams on completing one or two stories at a time. The reduction in WIP has resulted in greater throughput, faster feedback and fewer bugs and production problems. Obviously, there’s more to that story, which you can read about in my early article on Bug Fix Thursday. If you want to learn more about why WIP limits work to reduce waste and improve throughput, I highly recommend “The Goal: A Process of Ongoing Improvement” by Eliyahu M. Goldratt and Jeff Cox, which helped popularize lean manufacturing back in 1984. This skinny book, written in a fast-paced, thriller form, does a great job of explaining some of the core principles of what makes agile effective even though it was written almost two decades before the Agile Manifesto. I am working with Tom Cabanski to develop a talk for the one day Agile Shift conference scheduled for April 12, 2019 in Houston, TX titled “10 Biggest Mistakes We Made on Our Agile Journey (and Why We are Glad We Made Them)“. This is the fifth in a series of articles that Tom and I will use to explore some of those mistakes and what we learned from them. You can find other articles in this series here. Growing up, I loved cartoons – what kid didn’t? One of my favorites was Voltron: Defender of the Universe. For the uninitiated, Voltron tells of the adventures of five pilots who each command a robotic lion. Individually, they were undeniably skilled and capable, but invariably each Saturday morning episode would present a challenge seemingly too great to tackle. I remember this as the point where I’d leap to my feet in anticipation. I knew this was where the magic was going to happen. The yellow and blue lions morphed into gigantic robot legs. Red and green assumed their places as the giant’s arms. The black lion and commander lowered into place as the head and torso, and Voltron was complete. A giant five-piece robot greater than the sum of its parts stood ready to dispatch whatever foe dared to stand in its way. It wasn’t until years later that I realized how flawed a design this may well have been. Five pilots for your super robot?! What happens when the yellow leg decides to make a move to the right while blue decides it’s time to juke left? Or when red moves to block a blow at the same time that black lion ducks out of the way? The logistics of synchronous command are, to say the least, fraught with peril. So what does any of this have to do with our agile journey at Global Custom Commerce (GCC)? This hearkens back to one of our early agile rollout mistakes, the selection of the all important Product Owner. Like all good agile shops, we recognized the importance of product ownership as a key to success. What we could not agree on was who should take the reins. Indeed, the problem facing us was just too great. We were trying to build an all-encompassing eCommerce platform, including administrative tools, a killer user experience, fulfillment systems, and support utilities for internal users. How were we going to find someone who could effectively represent all of those concerns simultaneously? To find resolution, we looked across the organization. Our marketing department had some obvious choices who could speak adeptly to the most valuable impacts on customer experience. Our Customer Engagement Center had representatives who could outline the needs of our internal users fielding direct customer calls. Accounting knew well what back-office tools were needed to ensure that fulfillment ran smoothly. In fact, we had a wealth of riches! Product owners everywhere! 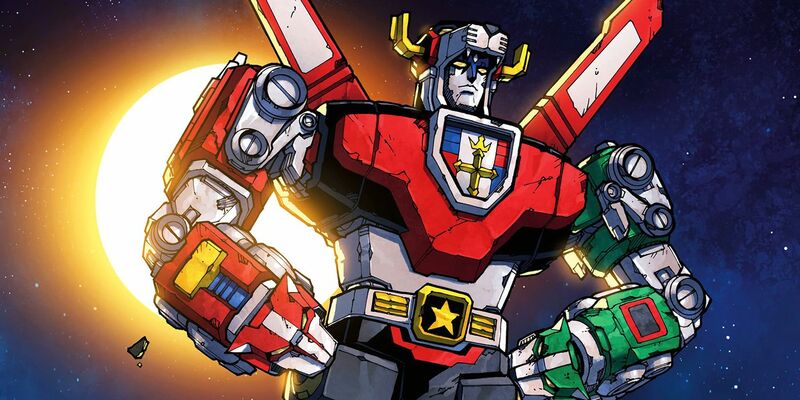 And if Saturday morning cartoons had taught us anything, it was that the only thing better than five robot lions is their combined and collaborative might as Voltron. It was with that “insight” that we formed what came to be known as the Product Owner Committee. We had a product manager at the head of the group to facilitate all of our backlog refinement and prioritization discussions amongst designees from each department in the organization. Early on, it seemed to work. We were getting things done and building a platform. In hindsight, though, that’s probably because most of these initial decisions were the easy ones. We all knew in broad terms the direction we were moving, and it wasn’t terribly hard to obtain consensus. The committee was unanimous in nearly everything we did. There were a myriad of other realities that greased the skids here for us, but suffice it to say, we thought we had hit on something. Somewhere along the way, though, things started to get more complicated. As the product started to “feel” real to our users, committee meetings started to feel more like a jockeying for position on the backlog. Each product owner was there to represent the priorities of his or her piece of the organization. As a company, we always worked to ensure alignment on overarching priorities, but that didn’t stop competing concerns in the moment. Different perspectives would inevitably lead to different conclusions on how to achieve our larger goals, and it showed in our backlog refinement. Prioritization was weighted as much by reactionary behavior to persuasive (or persistent) arguments as it was by strategic thinking. Complicating that was the harsh truth that development is a bit of a zero-sum game in some ways; if I’m developing feature A, I’m not working on feature B. As much as we struggled to keep a common alignment, the reality was that, in the stress of doing big things, we would sometimes move in contrary directions to one another. The power of this shift in thinking was palpable. Backlog refinement didn’t become easy, but it had a focus and a clear direction. Everyone knew – whether stakeholders or development team – where prioritization was being decided. Product owners took the trust they had been granted seriously, too. That meant being good stewards of the company vision while at the same time making sure to hear, digest and incorporate diverging stakeholder perspectives when making a decision. Like everything we learned along the way in our agile journey, I can today appreciate the value of the mistakes we made. The autonomy, authority, and trust in our product owners was molded by our struggle harnessing the product owner by committee that we started with. I’m not sure any product owner appointed on day one would have been able to gain the trust of the stakeholders the way they have today. It was a valuable lesson to learn, and one that was crucial to where we are as an agile shop today. And sometimes, that’s an even more powerful thing than a super robot made of lions. I am working with Tim Coonfield to develop a talk for the one day Agile Shift conference scheduled for April 12, 2019 in Houston, TX titled “10 Biggest Mistakes We Made on Our Agile Journey (and Why We are Glad We Made Them)“. This is the fourth in a series of articles that Tim and I will use to explore some of those mistakes and what we learned from them. You can find other articles in this series here. In the early days of the Autobahn project when the team was still a small one with only 4 team members and a PO, our manager established a policy that each of us could and should work from home one or two days each week. Since we were practicing Scrum more or less by the book, the only exceptions were sprint planning day, the first Monday of each two-week sprint, and sprint review day, the last Friday. Most of the team took advantage. I was a notable exception mostly because I had two twin baby boys in the house, which made it difficult if not impossible to do focused coding at home. The truth is I also hated working at home. I had plenty of experience. For years, I had run a small consulting company and spent a lot of my time working out of the house often on projects with geographically distributed teams. Along the way, I wrote a monthly column for an industry journal and a best-selling technical book on a tool nobody uses anymore (C++ Builder from the long gone, but fondly remembered IDE pioneer, Borland). Maybe it was the technology back in the late 90s, but I always found it more productive to lean over to the person next to me for a quick chat rather than getting on the phone or hopping on the latest flavor of chat. Anyway, the rest of the team loved it. No getting up early and fighting traffic to make stand-up, no expensive lunches out and no long commutes home. It also was a great time to focus on writing code with no distractions, no background noise and no meetings. We had all the best technology 2012 had to offer at our disposal. Our CI/CD infrastructure and our test environments were hosted at AWS. Our source code was at Github. Our office network featured a VPN that was already supporting dozens of call center associates that worked at home on a daily basis. The company paid for our cell phones and our contacts were up to date. We had Skype accounts and we were not afraid to use them. We all had fast Internet connections at home too. Over the next few months a very clear and rather disturbing pattern developed. When everyone was in the office, things moved along very quickly. If you ran into a problem, you talked to the person next to you and solved it instantly. If you had a question for the PO, you stood up, walked 3 feet and tapped him on the shoulder. We used stickies on a whiteboard to track our work, and it was super-easy to walk up there and grab the next task. The team often went to lunch together and talked about architecture, the business and sometimes nothing at all, but always enjoyed the camaraderie. The work at home days were very different even though they weren’t supposed to be. The day before, whoever wasn’t going to be in the office would be careful to grab a couple tasks and move them into the “work in process” column on our whiteboard. Although the remote person would call into stand-up, she would usually have a very hard time hearing the conversation and, when talking about the work she was going to do today, would struggle to point out the right cards on the board. During the day, the remote person would generally work in a pretty isolated fashion. We rarely spoke to remote workers. Often, when we tried, we ended up leaving a voice mail and got a call back within an hour or so. Pretty much the same thing would happen with Skype.After awhile, it was easier to find someone in the office or wait for the next day. It felt almost like the work at home folks fell into a short-lived black hole where the speed of collaboration fell asymptotically close to zero. The good news was working code often came out of that black hole thanks to the lack of interruptions, but not as much as we thought. Working at home was harder than people thought. It was far easier to keep banging away at a problem than it was to get a second set of eyes on the code when it involved Skype calls, screen sharing and Internet lag. Every technical glitch and every missed call just made it more likely that everyone would wait for tomorrow to collaborate. Technical whiteboard design sessions just worked more smoothly with a real whiteboard. As a result, work at home productivity did not match what we saw from the same people in the office. Of course, the team noticed and started talking about it more and more. Two camps formed — those for work at home days and those opposed. We all tried very hard. We experimented with new technologies. For example, we started to use video conferencing on an iPad to try and bring remote workers into the daily stand-up. We also moved to Jira to make it easier for the remote team members to share the task board. It all helped a little, but it was not able to close the gap. Working in the office was just easier and more productive. One by one, the work at home advocates starting coming into the office more frequently. After a few months, work at home became a rare thing used mostly when a workman was expected to fix something or the kids were off school. We had all come to value face to face interaction and the speed of collaboration it allowed us. Even today, our teams highly favor face to face interaction. Although most, if not all of them, use electronic tools to track their tasks, they still put various artifacts in physical form on whiteboards. We use Slack extensively, but we talk in person far more. Team members value collaboration so much that they willingly change desks to sit close together with other people working on a shared initiative even if it is only planned to run a month or two. We hold as many development-related meetings as possible in public spaces near the teams so people working at their desks can overhear what is being discussed and join the conversation if they think they have something to contribute. Even when doors are closed, engineers know they can simply walk over and interrupt if something important has come up. All of these things are just harder to do when you have team members working remotely. That is not to say we never work at home or we don’t sometimes work with geographically distributed teams. Technology, people and business realities all are driving a demand for more and more remote work. We have worked very hard over the last couple of years to remove barriers to remote work. However, collaboration is still easier and more fun when you are in the same space. The benefits gained from remote work, such as better work-life balance and more control over interruptions, typically are outweighed by the tax you pay in collaboration friction. Although the technology has advanced, it simply cannot match co-location. I am working with Tim Coonfield to develop a talk for the one day Agile Shift conference scheduled for April 12, 2019 in Houston, TX titled “10 Biggest Mistakes We Made on Our Agile Journey (and Why We are Glad We Made Them)“. This is the third in a series of articles that Tim and I will use to explore some of those mistakes and what we learned from them. You can find other articles in this series here. Because he plays such a big role in this story, I’ll be referring to our first PO, Wade Pinder, by name. He played a big role in our agile journey and an even bigger one in this story. Although we have lots of POs these days to serve our twelve agile teams, Wade remains the strongest agilist here at GCC. You can find Wade speaking and coaching agile around Houston and on LinkedIn. The engineer doing the demo grimaces and says, “Well, the story is really done and the requirements weren’t called out in the acceptance criteria. We won’t have time to do any of that this sprint. We can write it into a new story and maybe pick it up next sprint”. Sometimes the conversation would turn into a more extensive debate. Wade would remind the developers that a well-written story was “a reminder to have a conversation” and the agile manifesto calls for “customer collaboration over contract negotiation”. He would also accurately make the point that the intent of the story was quite clear by the time sprint planning started based on all the conversations that had taken place. Down deep, the development team knew they had failed to deliver on that intent. However, most times a narrow reading of the acceptance criteria gave them the cover they needed. They were acting like lawyers that get a guilty client off on a legal technicality. The changes needed were generally not huge. They often ended up in what we would categorize as a small or medium story. Equally importantly, these weren’t cases when a story turned out to be too big and sprawling to actually be a single story. It was really the case that the team was not delivering on the intent of the story. It was happening more and more often and resulted in far too many sprints where one or more stories would be “done” but did not deliver the expected business value until the follow-up story was completed and deployed in some future sprint. After months of this, Wade decided to take action. He decided to write stories that captured every single aspect of everything expected in excruciating detail. Small stories that used to have less than five acceptance criteria, had 20 or more. Every UI change came with a mockup and a clearly-written expectation for pixel-perfect delivery. Every field was described, every validation was specified, expected response times were documented and every error message was spelled out. By the time he was done, every story ran for several printed pages. Each one was like the most cunning contract ever assembled by the most skillful corporate lawyer — completely devoid of wiggle-room, full of landmines and utterly impossible for mere mortals to understand. The development team was horrified by the more detailed stories when they first saw them in a backlog grooming session. There was no room for creativity and no room for their input. Every detail was locked in. Where was the room for discussion? What if there was a better way? What if there was an easier way? Then we really started to talk. Wade and the developers saw eye to eye for the first time in months. The developers agreed to show Wade screens and other story artifacts as quickly as they became available to provide time and context for meaningful conversation and course adjustment. In fact, many teams adopted an extra step at daily stand-up to ask out loud “what can we show Wade today”. Wade agreed to go back to writing stories that were reminders to have conversations instead of contracts that specified every detail. Together, everyone agreed to focus on delivering the business value each story was intended to deliver even when it meant missing a sprint commitment. Agile Lawyers still popup from time to time, but they are easier to deal with now. If it’s a developer, someone that’s been around for awhile simply tells this story and reminds them of what can happen if they force the PO to turn into an agile lawyer. If it’s a PO, it almost always turns out that the PO is reacting to an agile lawyer on the development team and, well, you know that story.